Blog post featuring a video about painter Annie Lapin, posted on the occasion of her exhibition Various Peep Shows at Honor Fraser, Los Angeles, on view through February 22, 2014. The gallery press release states: "Quick, confident brush strokes appear to rest lightly on the surface of the canvas, operating as pure mark making until the slow burn of an image makes its way to the eye. Loose paint-handling and thin washes of color plot out strange architectures through which implausible landscapes peek at the viewer. Layers of imagery, rows of spray painted lettering, and thick areas of paint seem to float at various layers in relation to each other, creating an odd spatiality. 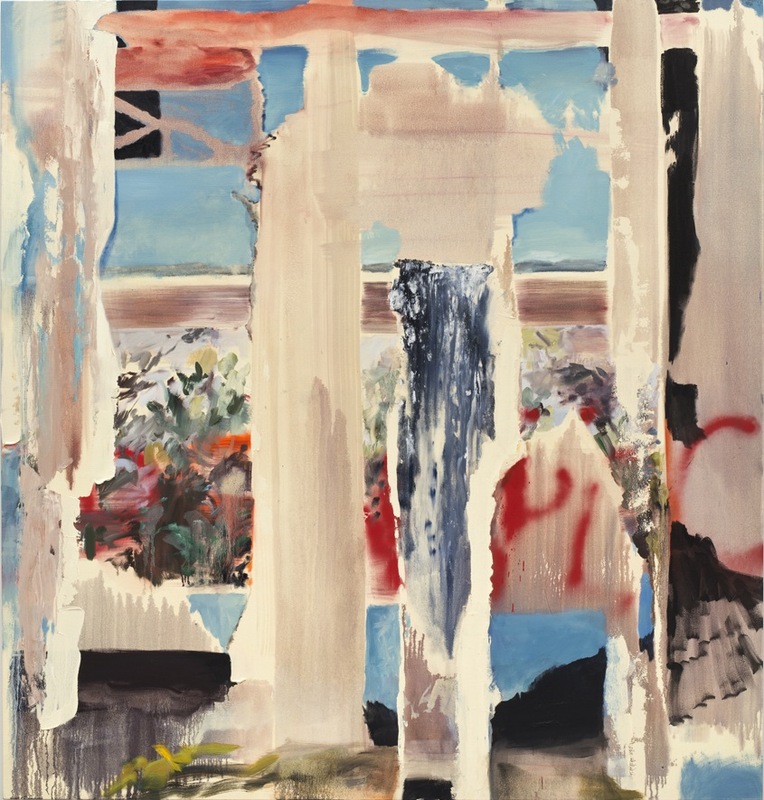 While window like vistas allow the eye to escape to deeper horizons, the shallow relief space that parallels the surface of her canvases serves as a stage for a re-enactment the work's production; choreographed pours, stains, smears and drips act as both deconstructive and constructive moments."